A nice rainy leap day here in the Bay Area. And boy do we need the rain. I have not one but two friends whose wives have been expecting twins around this time, and I told each of them that I thought it would be cool if they had twins on leap day. (The twins might disagree, some years hence, but whatever.) One friend had his about a month ago, and it looks like the other one’s twins aren’t quite fully cooked yet. Ah, well. Leap day isn’t quite like the end of daylight savings time in the fall: We have an extra day, but it doesn’t really get us anything. No one notices that it takes an extra day longer to reach their next birthday, and we don’t get a 3-day weekend (or a 6-day work-week). It’s just a curiosity. On the other hand, it’s comic book night, which makes it a nice night to escape the chill outside and read by the fireplace, cats draped on the furniture like discarded scarves. Without knowing whether Vernor Vinge would ever write one, a sequel to his outstanding 1993 novel A Fire Upon The Deep has been eagerly awaited by his fans for 18 years. Unfortunately that sequel, The Children of the Sky, is quite a disappointment, having little of what made Fire such a great book (it’s one of my all-time favorites). The book follows the lives of the humans who were stranded on Tines’ World following the defeat of the Blight in Fire. Ravna Bergsndot is the sole human with direct experience of the Blight, and who knows that a Blighter fleet is surely heading for them at slower-than-light speed. Helping to raise the children marooned on the world, the children of the scientists who released the Blight, Ravna also co-rules the local nation of Tines – the wolf-like pack minds of the planet – with the erratic Queen Woodcarver. Together they hope to bootstrap the planet to a more advanced level of technology in time to face the Blighter fleet. The crux of the story are the challenges Ravna faces in her goals. Distrust among the Tiners in Woodcarver’s domain is the least of it; many children have reached adulthood and not only resent that they don’t have the technology they grew up with (including life extension treatments, which Ravna has completed), but some of them doubt Ravna’s word that the Blight is a threat, believing that their parents could never have released such an evil, and seeing the results of Ravna’s crew’s actions in Fire which stranded them there as more sinister. And a scheming Tine named Vendacious has allied himself with a powerful entrepreneur and rival to Woodcarver named Tycoon who seem to be pacing – if not outstripping – the humans in development. While Children is a capably-written book, it’s missing the ideas content that is the hallmark of Vinge’s books. 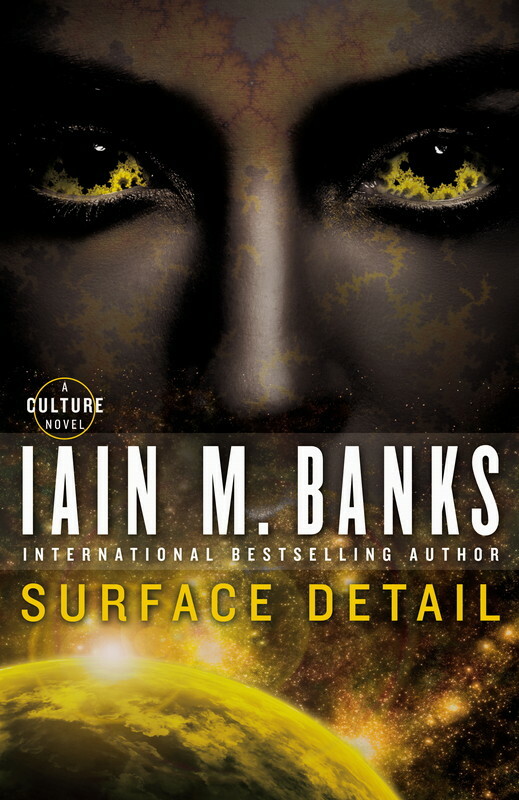 Indeed, A Fire Upon the Deep is a great novel not just because it’s well written, but because it throws out terrific ideas – and explores them in depth – with a frequency and density rarely encountered elsewhere in SF. 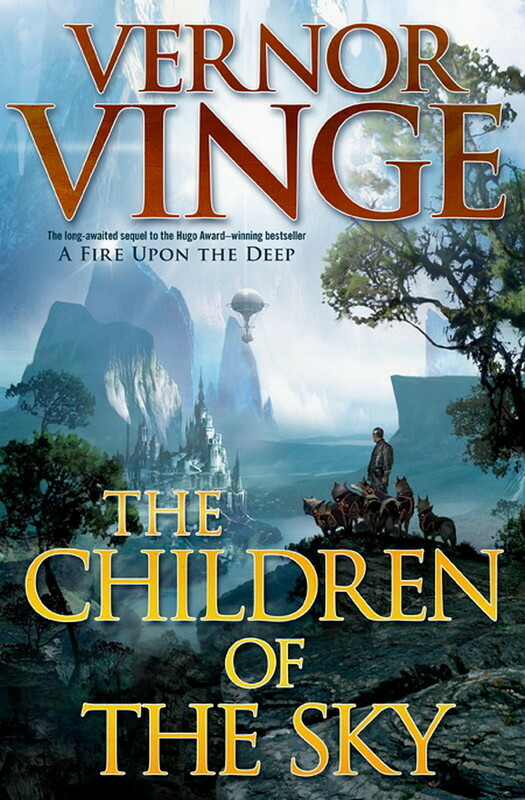 Fire is a tall act to live up to – neither of Vinge’s next two books, including the prequel A Deepness in the Sky – really do so, but Children is perhaps his least ambitious book since. The most compelling idea in the book is the notion of the “Choir”, the huge mass of Tines who live in the world’s tropics and have a rather different society than the lands of discrete packs such as Woodcarver’s. And it adds some small twists to the old chestnut of a plot where a few advanced people try to bootstrap a medieval society to a higher technology. But the book doesn’t build much more on the nature of the Tines – showing, I guess, just how deeply the race was explored in Fire – and doesn’t expand on the Zones of Thought or the Blight at all (the threat of the Blight hangs over the first half of the book, but if you’re hoping for a big showdown between the human/Tine alliance and the Blight at the end, you’re going to be disappointed). It’s a book of local political machinations rather than groundbreaking science fictional ideas. For what it is, the book is pretty good, though rather slow to develop. The characters are enjoyable enough, and a few of them develop in interesting ways, but they’re not enough to really carry the book. If a book of politics and gamesmanship is what you want to read, then you’ll probably enjoy it. But while the Tines are interesting, what I really wanted from a sequel to Fire was something that further developed the Zones of Thought that delineate areas of the galaxy and introduced some interesting new aliens. What Children actually is was quite disappointing to me. 1) I picked him up for my fantasy team when he came to the Red Sox in 1995, and he promptly had the season of his life (despite fading down the stretch). We might never see a knuckleballer have a season that great ever again (considering we only see a really good knuckleballer about once per generation). 2) He helped save the staff in Game 3 of the 2004 ALCS when the Yankees were pounding all comers (including Tim) into the dirt en route to one of the most lopsided playoff victories ever. Wakefield threw over 3 innings and saved other good pitchers for Game 4 and the Sox’ historic and unique comeback. Plus of course he’s one of the longest-tenured Sox (17 years! ), pitched longer than most (he’s 45, one of the few players last season older than me), and seemed as dedicated to the team as anyone. While David Ortiz has been the face of the franchise this past decade, Wakefield has always been right there, usually an average starting pitcher, but never as flashy as some of the other players. Wakefield retired from playing baseball today, which is the end of an era for the team as far as I’m concerned. On the next pitch, Knoblauch broke for home plate, and he was tagged out at home. Side retired with no runs. Kirby Puckett – still a great hitter, but in his last season, though no one (including him) knew it at the time – didn’t start, but he came in to pitch-hit with 2 outs in the ninth and the Red Sox leading. On – I think – the first pitch, Puckett hit a rocket to left field which was snagged by the shortstop to end the game. Wakefield was a really fun player (“how the heck did he get that pitch anywhere near over the plate, never mind getting a called strike?”) and a class act. I’ll miss him a lot. I raked the front yard, hopefully the last batch of leaves I’ll have to rake this year. Had to go across the street to retrieve the leaf pan from our neighbor Juan (it’s his, but he doesn’t have many leaves, so it often lives with us). Pulled up a daisy around the side of the house which was a style I’m not fond of, and which had grown to be ginormous since we moved in. I transplanted a different daisy from a large pot on the patio in its place. Hopefully it will settle in nicely. Finally transplanted the lavender plant that Joar and Karin gave us last Memorial Day into a proper pot. Only took me nine months. Did you know that when you leave a plant in its temporary container which in turn is inside a real pot for nine months, snails discover it and decide to hang out there? Dozens. Of. Snails. Eew. I threw them all into the rosemary bush. Pulled up a bunch of weeds in the back lawn. Trimmed back a bunch of juniper and daisy plants along the back fence that were starting to grow over the lawn. Take that! It’s been nice having a break from mowing during the winter, but I gotta say, I’d rather mow than rake. Debbi came down with a bad cold last night, and was home from work today. She was pretty well zonked this morning when I left for the gym, and says she spent much of the day sleeping. She seems a little better tonight, but she still doesn’t sound very good, and I bet she’ll be home again tomorrow. Hopefully this won’t lead to me being home sick in a couple of days, especially if it’d lay me out for most of a day. Not even being able to stay awake to read a book, what kind of sick day is that? And hopefully Debbi will be better by the end of tomorrow. In other news, Blackjack suddenly entered a down period last week, walking around with wobbly legs and occasionally stumbling. He still seems pretty happy, just somewhat frustrated at his wobbliness. He’s not as bad as he was over Thanksgiving, and he’s still able to jump places. It really kills Debbi to see him like this. But I think he’s going to alternate stronger and weaker periods for the duration of his illness. Hopefully this cycle will pass and he’ll be stronger later this month. His wobbliness seems to coincide with him throwing up more. We’re not sure what to do about that. He seems to not throw up when we give him wet cat food, so we’ll give him more of that for now. At least he doesn’t throw up all of his dry food. He seems to be a little better today. Debbi tells me he kept stealing her blanket when she fell asleep on the couch! Lastly, I’ve been working to pull together my tax information over the last few days. Boy, I’ll be glad to get that behind me. Buying and selling houses makes it so much more complicated. Thursday I had people over for the inaugural poker night at the new house. It’s taken us a lo-o-ong time to get the dining room set up: Buying a big buffet to store my board games (and empty all the boxes of games that we lining the room), and getting a rug for the room to protect the hardwood floors. Then last weekend I bought a length of felt to use as a playing surface (I already knew the table cloth doesn’t really work – it bunches up whenever you try to pick up the cards). But finally we were ready. The great thing about our dining table (which I inherited from a friend of mine) is that with both leaves in, it easily sits 8, and could probably sit 10 without too much trouble. We got 8 people – though we maxed out at 7 at once – for the game, and everything went smoothly. I even hauled out our glass mugs from the freezer for the people who wanted beer (“How unusually civilized” one of the players said). The cats briefly checked things out, but only Blackjack hung out with us for the evening. And Debbi said that after she went to bed, she could barely hear us still playing (and talking) downstairs. The only casualty is that I managed to knock over my own chair right into an electrical outlet, chipping a piece off of its frame. But that should be easy to replace. The game – our usual small-stakes 5¢/10¢ blind no-limit hold ’em – went well. I won some early pots, lost some late pots, and ended up a couple of bucks. Two players got it all in after a ridiculous flop betting line (several near-minimum-raises followed by an all-in overbet and a snap call), revealing a set-over-set situation. One player said, “I didn’t think you’d call me!” and the other replied, “I didn’t think you’d beat me!” A third player just shook his head at their (deliberately) silly line of play, even though the outcome was inevitable. People started turning into pumpkins sometime after 11, so we called it a night. The next morning Debbi said she wondered how we ended up with more beer than we started with (since we don’t drink beer, and most of what we had was left over from my birthday party). I said that Adam left it to encourage me to host again. Before Watchmen, the upcoming project from DC Comics, has been the talk of the comics world for a little while now. Here’s my two cents on the project. First, I do get a little tired of Alan Moore saying that he wishes comics companies would stop exploiting properties he created that he doesn’t own, or that he co-owns. On the other hand, he has his wishes, and the media keeps asking him what he thinks of the latest project based on his work, so what do they expect him to say? “Oh gee, you’ve worn me down, so I’ve decided that it’s great they’re doing this.” So I think people who complain about Alan Moore complaining doth protest too much. As long as people keep doing new projects based on his work we’re going to keep hearing him complain about them, so we just have to accept that and move on. On the other hand, it’s hard to imagine a less-necessary set of books than prequels to Watchmen. It was a gorgeous and influential book which was complete unto itself, and which is tightly tied to the creators who made it (Alan Moore and Dave Gibbons). Moreover, it pretty much plumbed the depths of all the major characters, and what was left unsaid was left so deliberately. Any prequels I think would only be interesting to the extent that they inform a new reading of the original book, but since Moore and Gibbons aren’t doing the prequels, I expect they’ll feel superfluous. It’s strange to me that DC would do prequels to the series, rather than a sequel, since building something new on top of the original might genuinely move the book forward. But doing prequels just seems like a cynical effort to squeeze some more money out of the property – cynical because it indicates that DC is too timid to do anything daring. Which is ironic because, as Moore has said, the whole point of Watchmen was to do new things with the medium (graphic novels) and the genre (superheroes). You can argue to what extent they succeeded in being truly innovative, but the book clearly greatly influenced comic books for years after it was published. Going back and further rooting around in the backstory of its milieu seems contrary to the spirit of the book itself – and thus all the more cynical. But in pop culture all old fads end up coming back and being revisited or reworked eventually. Sometimes they’re good, sometimes they’re bad, sometimes they’re fresh, and sometimes they’re stale. The only way this project is different from DC relaunching the Doom Patrol/the Teen Titans/the Suicide Squad one more time is that it has Alan Moore complaining about it. Just remember: The great thing about literature (graphic or otherwise) is this: Regardless of whether or not Before Watchmen ends up being a cheap knock-off of the original, we can always go back and enjoy the original. Considering how many superhero comics have devolved into a serpent swallowing its own tail, that’s an important fact to remember.